We Are All The Same Inside | Skinner Co. 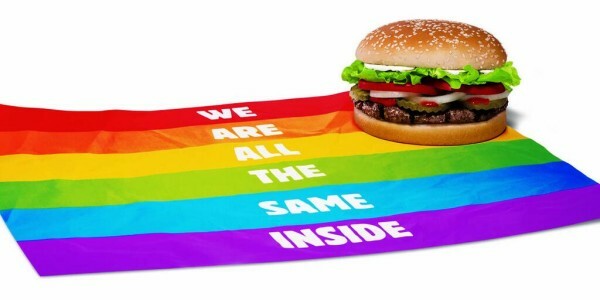 In theory I’m behind the Proud Whopper, Burger King’s attempt to align themselves with the LGBTQ community. The more love the better – but, well, I find there’s something weird about the message (pictured above) inside the wrapper. Er, or maybe that’s just me.